Beefeater BBQ in its ultimate flagship version. Truly a connoisseurs barbecue, this is nothing less than the very best money can buy. With the flexibility of 5 high performance burners and integrated side wok burner delivering a massive total power of 123,904 BTU, this is one very serious barbecue with all the power you will ever need. Experience cooking perfection in stainless steel. The roasting hood also includes an on board temperature gauge and warming rack. The Beefeater Signature BS30060 BBQ Grill was added to the BBQ Grills category in July 2017. 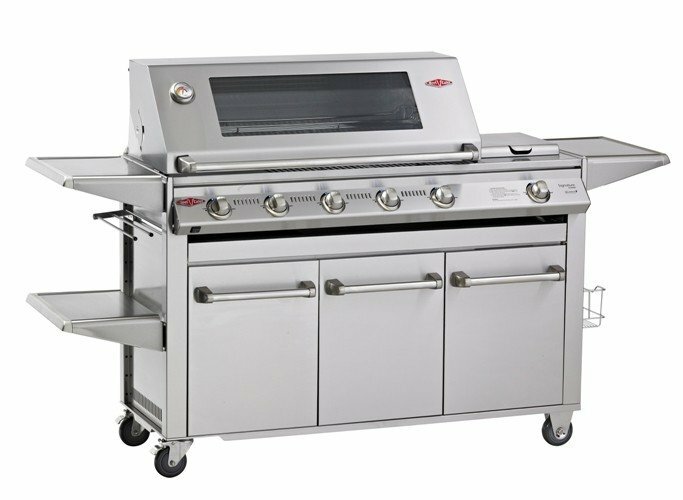 The lowest price GetPrice has found for the Beefeater Signature BS30060 BBQ Grill in Australia is $5,499.00 from Bing Lee.